The entire Kapoor family is currently vacationing in London. 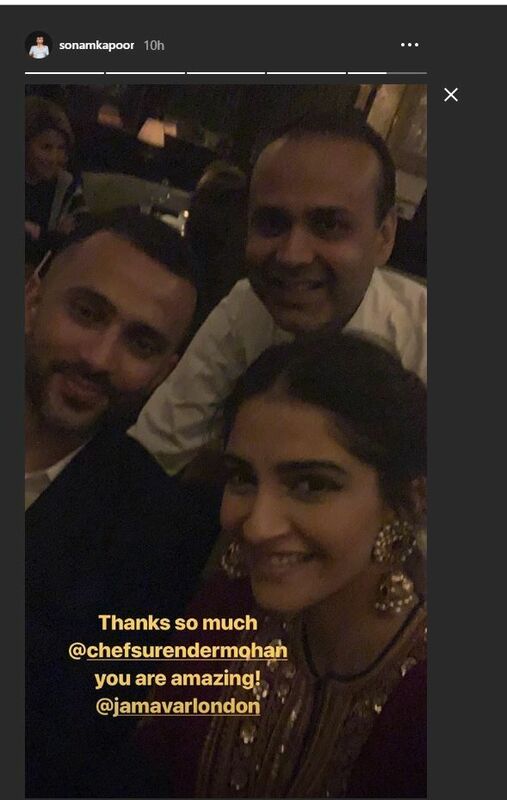 Being the couple's first Diwali, Sonam Kapoor and Anand Ahuja were seen celebrating the festival; seven seas apart. 2018's Diwali saw several Bollywood A-listers hosting star-studded parties for their industry friends and while Shah Rukh Khan, Shilpa Shetty Kundra, Ekta Kapoor threw lavish parties this festive season, Anil Kapoor and his family flew to London to celebrate the festival along with Sonam Kapoor and husband Anand Ahuja. Wishing everyone, the actress wrote "Happy Diwali folks'. 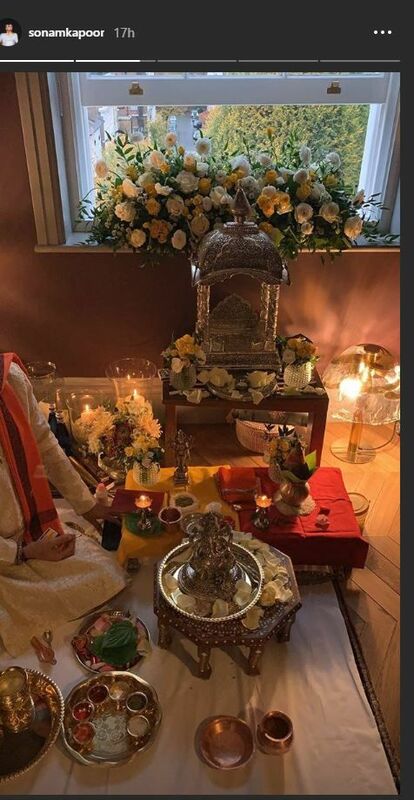 Sonam shared a picture where she and Anand were seen worshipping Lord Ganesha on the occasion. Dressed in casuals with a 'patka' around their shoulders, the two can be seen performing the holy rituals. 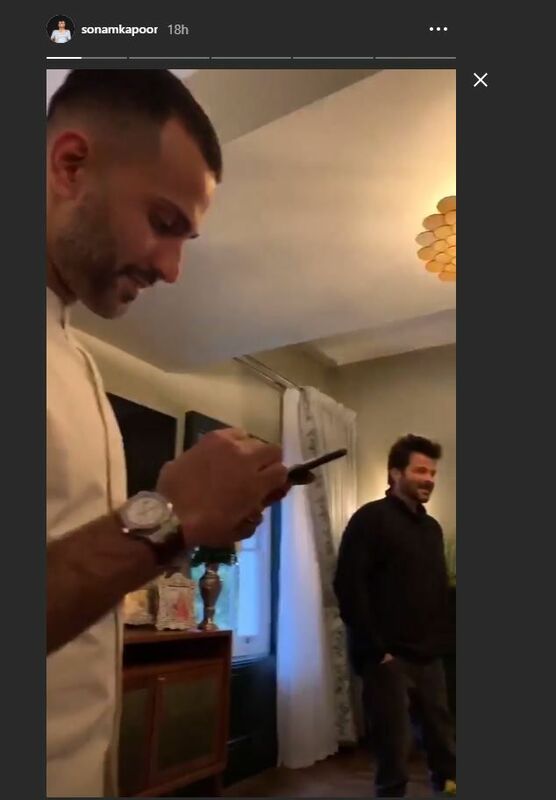 Further, she went on to share a few glimpses of their family together in a series of Instagram stories. 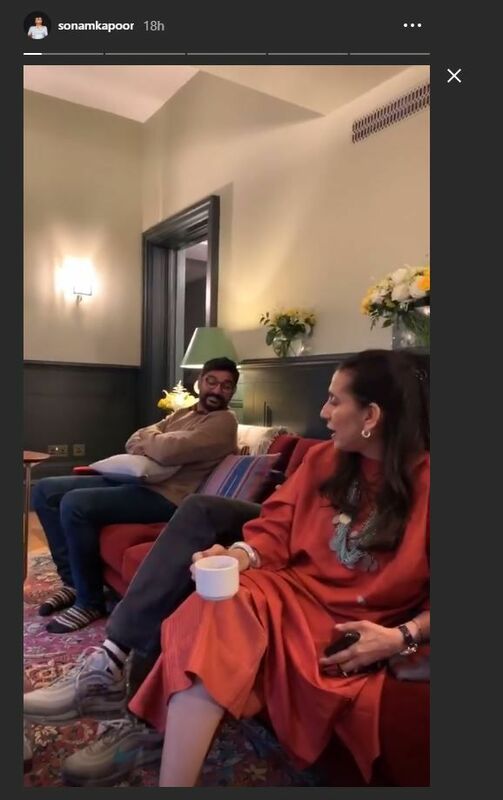 Sonam Kapoor is living the cozy and comfortable life with her husband Anand Ahuja. She had earlier taken to Instagram stories to share an appreciation post for her husband Anand. S. Ahuja thanking him for helping her deal with negativity. The actress will be seen sharing screen space with her father for the first time in 'Ek Ladki Ko Dekha Toh Aisa Laga', she will also be seen opposite Rajkummar Rao in the movie. The fashionista also has 'Zoya Factor' lined up wherein she is paired alongside South star Dulquer Salmaan. Sonam was last seen in 'Veere Di Wedding' alongside Kareena Kapoor Khan, Shikha Talsania and Swara Bhasker. The film garnered mixed reactions from the audience but fared well at the box office.